The Prado, Reina Sofia and Thyssen-Bornemisza seem to attract all the touist attention. But there are other museums far out of the limelight that are worth exploring. Housed in a turn-of-the-20th century mansion, the Lazaro Galdiano Museum displays the immense private collection of Jose Lazaro Galdiano, a Gilded Age entrepreneur and writer. The exhibits include everything from 4th century BC gold jewelry to the works of Goya, and unique small and miniature paintings, a mere one to four inches in size. Surrounding the museum is a garden landscaped in an 18th century style, one of the few surviving examples in Madrid. The Sorolla Museum is the former home and studio of Joaquin Sorolla, Spain's most famous Impressionist painter. Here, you'll find his most noteworthy works, including "Strolling along the Seashore", as well as his Spanish ceramics collection and antique furnishings. 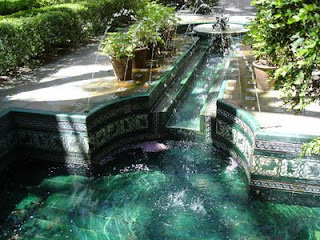 After wandering through the house and viewing the paintings, stroll through the lovely garden that was inspired by Andalusia, with shade trees, water features and ceramic tile work. The Monastery of Descalzas Reales is an elaborately designed convent turned museum where the nuns who were daughters of artistocrats donated precious works of art. On the tour, which is usually in Spanish only, you'll explore the many rooms and hallways displaying gold holy relics, frescoes and tapestries, including one woven from work by Rubens. For a completely different experience, walk through the Museo de Escultura al Aire Libre, an outdoor sculpture garden directly under an urban bridge. A small waterfall and a bubbling pool drown out most of Madrid's traffic as you explore the dozen or so contemporary pieces, mostly bronzes, by notables such as Eduardo Chillida, Joan Miro and Julio Gonzalez. The Real Academia de Bellas Artes houses a premier collection of classic works of art, mostly religious, by such great masters as Titian, Raphael and Van Dyck. Here, unlike the Prado, you'll find plenty of peace and quiet with more security guards than visitors. Given its distance from downtown -- though still accessible by the metro -- it's no wonder the Museu del Traje (Costume & Fashion Museum) is little visited. It's a shame more visitors don't take the opportunity to examine the vast collection of historical and contemporary dresses, gowns and costumes. This modern museum, with a lovely glassed-in restaurant, located in a garden with shaded paths, stands of bamboo and a pond with more than 60 spouting fountains. Great list of things to do. Thanks. Thanks, David. Glad you liked the list. All these museums are definitely worth exploring.